Lilian Sustaita, material and logistics manager for BorgWarner, was one of 130 women to receive a Women in Manufacturing STEP (Science, Technology, Engineering and Production) Ahead Award. The annual award honors women who have demonstrated excellence and leadership in their careers and represent all levels of the manufacturing industry. 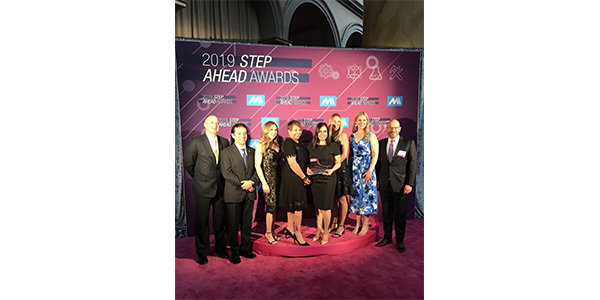 On April 11 in Washington, D.C., The Manufacturing Institute recognized recipients of the STEP Ahead Awards at a reception highlighting each honoree’s accomplishments. Sustaita works at BorgWarner’s Ramos-Arizpe, Mexico, plant. In this role, she has served as a mentor to fellow colleagues who specialize in program management and quality engineering. Currently, these colleagues lead activities on their respective projects that have resulted in two new production lines. To achieve these results, Sustaita recognized the capabilities of the team, worked to provide tools and resources, and then challenged them with aggressive goals, which empowered the teams to work collectively to solve specific challenges and understand how the work they do relates to the overall strategic plan. Sustaita also leads BorgWarner’s Systems, Applications and Products (SAP) Excellence Program, which is an intensive initiative with the goal of fully educating employees in the usage of material management and production planning modules. At the end of the initiative, employees are able to fully utilize the standard production and material planning functionality within the SAP Enterprise Resource Plan (ERP). In addition, she is involved in a number of other initiatives that increase the acceptance of enterprise values in her region, reduce inventory and smooth production flow. Outside of manufacturing, Sustaita also demonstrates her strong leadership traits by actively championing the charitable activities her facility supports, according to the company.